Don (previously G3OZF) started in amateur radio when at school, getting his licence in 1961 at the age of 17. Initially he was interested in Top Band DX, but from the late-’60s onwards interests became much broader. Don operates on CW, SSB, datamodes and SSTV from 1.8 to 30 MHz, and operates regularly in the major HF contests mostly under his contest call of G5W. 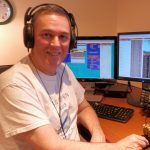 Don has operated from many rare locations including having been a member and co-leader of several of the FSDXA DXpeditions. 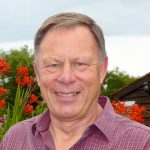 Chris was licensed in 1964 and was a member of the 3B7C and T32C expeditions. Chris has also operated in contests from GU and other locations. Activity over the years has been from 160m to 23cm with a strong interest in LF and contesting at any frequency. He operates CW, phone and digital modes. Nigel is joining the Australes team primarily to improve his French (and to run some good CW pile-ups)! Over the years G3TXF has been lucky enough to operate from several French DOMs, TOMs and Collectivités Territoritales (FG, FH, FJ, FK, FM, FO, FP, FS, FW and FY) and is looking forward to operating from a new French territory, les Australes FO/a, on this trip. Operating on all DX-trips so far has invariably been on CW. Who knows, one day, that might change. Maybe or maybe not? 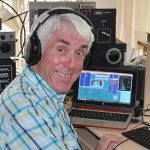 David (also WJ6O) was first licensed in 1967.The bug bit hard again in the 90s and a competitive 80m station was built in the Herefordshire countryside which gave immense low band DX pleasure and some satisfying contest scores. In 2000 that came to an end with a move to Silicon Valley where he was warmly welcomed by the NCCC community. Ham radio and contesting stepped up another gear as WJ6O – and the chance to operate at many of the best DX and contest stations in Northern California. Primary interests: station building, CW DXing and contesting, but I’m not averse to SSB once in a while. David has activated a number of DXCCs and IOTAs and was a member of the T32C expedition team. Don was licensed in 1968 and is keen on all aspects of amateur radio, but particularly contesting and DXing. Don has operated from 37 DXCC entities including having been a member of all the FSDXA DXpeditions, most recently T32C. From home he has operated all bands 160 through 70cm, SSB, CW and digital modes. He has all current DXCC entities worked and confirmed. 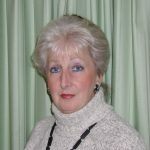 Hilary was first licensed in 1980, enjoys operating all LF/HF bands, SSB and CW and has participated in a number of winning contest station activities. She has operated from several DXCC entities including being a team member fo the 3B9C DXpedition. Justin started short wave listening as a teenager in the late 1970’s. He passed the UK Radio Amateurs’ Examination in 1980 while still at school and the Morse test in 1983. Amateur Radio took a back seat while at university and serious activity started again in the early 1990’s. 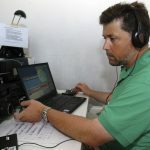 HF contesting is the main interest and he is a member of the Windmill Contest Group (G0FBB) and The Flying Pigs Contest Group (G0IVZ). Justin specialises in CW and takes part in various contests both single and multi-op. 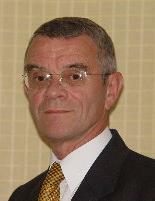 Past member of the RSGB Contests Committee including 6 years as chairman. Justin has operated from a number of DXCC entities including as a team member of several of the FSDXA DXpeditions (D68C, 3B9C, 3B7C, T32C). Other callsigns held: Contest Call G4A, ZD8Q for a 2006 trip to Ascension Island. Also operated at the following contest stations/calls: MD4K, GU8D, M0C, M8T, M6T, M8C, M5X, MU5X, G5W, G0KPW, G4BUO, G6PZ, K3LR multi-multi CQWW CW team. Involved in M2000A, GB50 and GB200T special event stations. Member: RSGB, ARRL, FOC, CDXC, GMDX, Echelford ARS, Three As CG.